Cambridge Folk Museum is a bit of a hidden treasure. Tucked away at the top of Northampton Street in an old Coaching Inn it is full of fascinating treasures, delicious cakes and a funky shop. Find out about Fenland history, see old Cambridge artifacts, look at old toys and kitchen equipment. It is a real treasure trove. 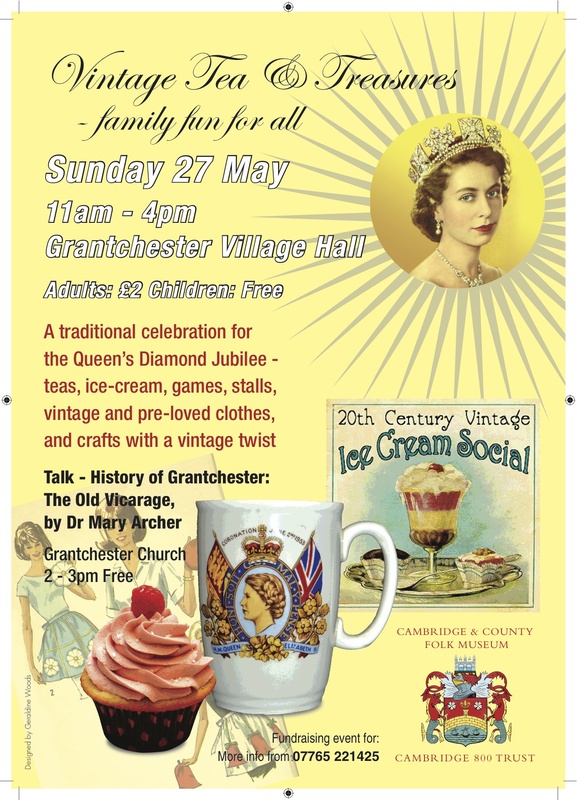 And do come to a fun vintage fundraising for the Museum in the quaint thatched Village Hall at Grantchester. Fun for all ages and a true vintage tea from the delightful Miss Sue Flay. Cambridge’s first purpose built cinema opened in 1913, closing in 1956, in part due to the Entertainment Tax. 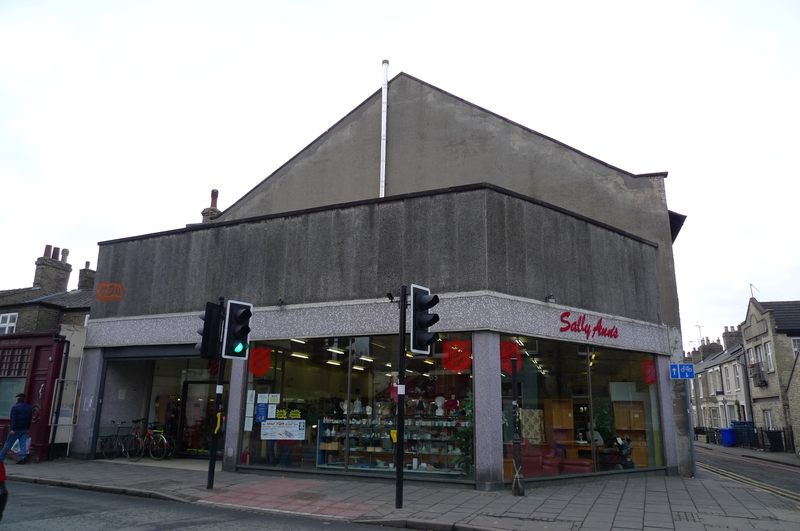 It became Fine Fare in the 1960s and is currently a Salvation Army shop. Cambridge’s second purpose build cinema opened in 1925, closing in 1956 as a consequence of the Entertainment Tax. 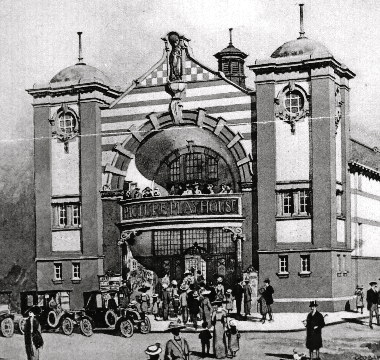 Part of the roller skating rink was converted to the County Rink Cinema in 1911. It closed in 1972 and was demolished in 1979. Build in the mid 1800s as Sturton Town Hall; it opened in 1911 as The Empire Cinema. 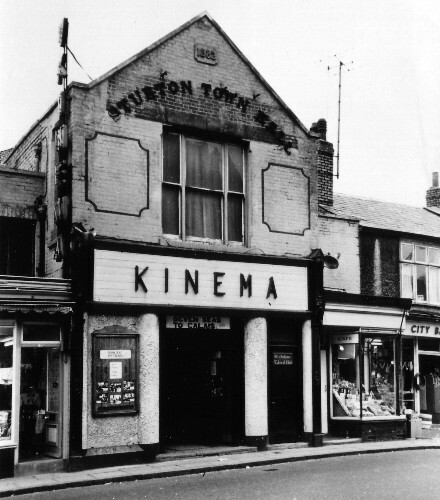 In 1916 it was renamed The Kinema and became purely a cinema. 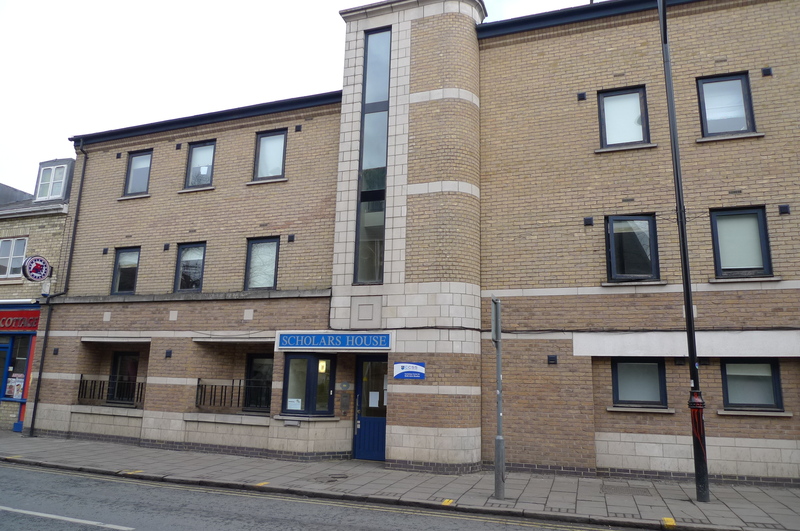 It showed its last public film in 1979 and has been demolished to make way for student flats. Open 1929 showing Cambridge’s first ‘talkie’ it closed as a Cinema in 1972. 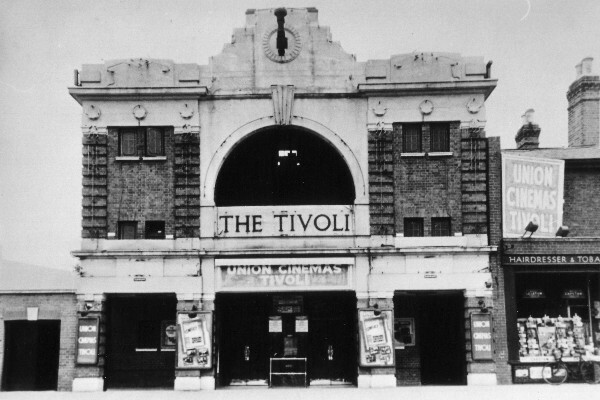 The New Theatre converted to a theatre cinema in 1938, closing in 1956 before being demolished in 1960/1. In 1933 trading as The Cosmopolitan cinema. This cinema closed in 1999 and is now ‘B’ Bar. The Regal opened in 1937 and was the largest Cinema in Cambridge. It closed as the Regal in 1997. 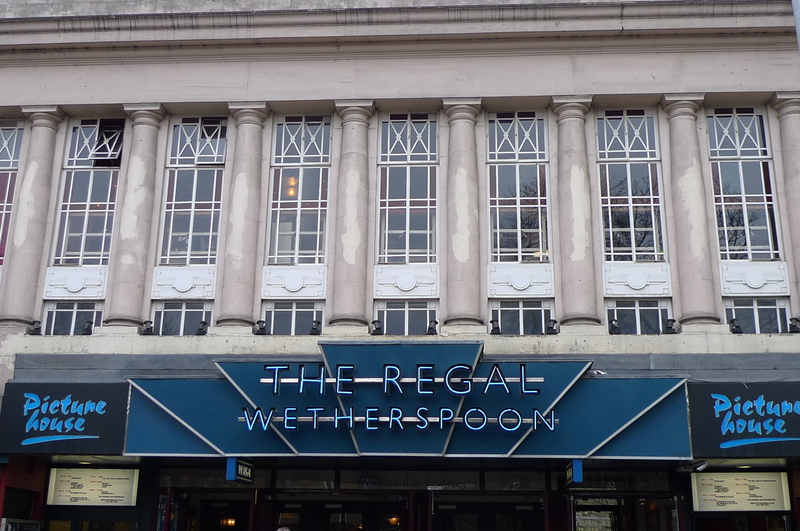 It now houses Wetherspoons on its ground floor and the delightful Picturehouse Cinema on its upper floors. 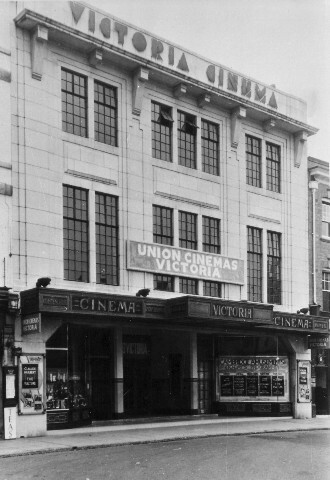 The Victoria opened in 1930; however, it seems to have traded as a cinema prior to that. 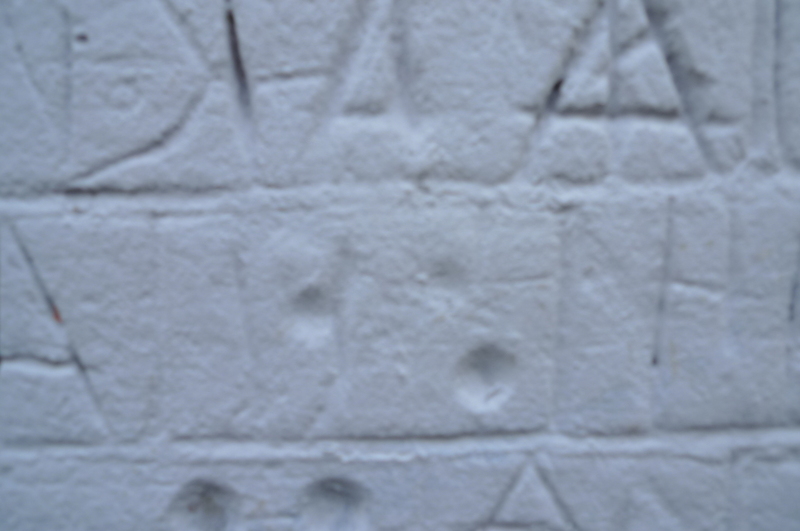 It closed in 1988. Fortunately its Art Deco façade was retained when Marks and Spencer demolished the rear of the building for its new store.